The photo on the left was taken two years ago. 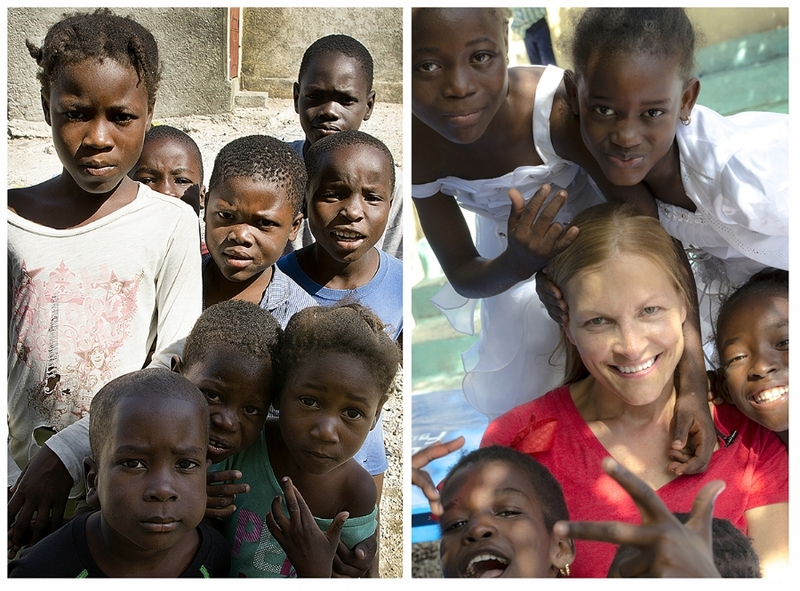 The photo on the right was from our January trip to Cité Soliel, Haiti. From despair to hope. What a blessing to see kids lives changed right before our eyes! As many of you know, seeing the slum of Cité Soliel is why we started Java Relief. Our hearts were broken and saddened to walk through this slum. It was shocking. The area is regarded as one of the poorest and most dangerous areas of the Western Hemisphere. The estimated population is between 200,000 to 400,000. No sewer system and very limited electricity. Rat infested and dirty. Our friend Luken's words kept ringing in our ears, "Here, children sleep where pigs sleep". I couldn't get the visual out of my head. The children surrounded our van as we left that first time, with their little hands and fingers reaching into the cracked-open windows hoping for food. We couldn't do life the same anymore. Java Relief was birthed from those moments in time. Last January's trip was different. As usual, we were warned by a couple Haitians not to go into Cité Soliel. They wouldn't go with us, it's way too dangerous. I even had an American missionary pull me aside and tell me not to bring my family into that area of the slum. He said he had seen too many people robbed, hurt, beaten and kidnapped. This is a man that I have a ton of respect for. He's been a missionary in the toughest places on the globe. A tribal missionary. Point of the spear kind of missionary in the jungles of the Amazon. He said he has been robbed at gunpoint in Cité Soleil. It caused fear to creep in for a bit. Then I talked to Brandy and she said, "There's no way we're not going in; they're expecting us!" I love that woman. God makes her fearless. We went and I can say it was one of the most impactful and joy-filled moments in my life. As we climbed out of our vehicle, we had former gang members waiting for us. They were there to protect us and were happy to see us again. After we exchanged hugs, they ushered us into a walled "schoolyard". The children were expecting us. As the iron gate swung open, we were mobbed...in a wonderful way! Over 200 children that are now being fed, cheered and surrounded us. Healthy, happy children. The same kids that were malnourished and had no hope in their eyes a few years ago. What a blessing! God is so good. Luken is truly changing the lives of hundreds of children. Through his amazing work, the Luken Foundation, along with the financial support of Don Shire Ministries, Ricky and family from Texas, and Java Relief we are seeing a huge impact. We spent time over two days with the children in Cité Soleil. There was a church service, singing, game playing and a traditional chicken with rice and beans dinner each day. We also had a visit from the main gang leader who really encouraged us. He is a tough man who has done some very bad things, but he said, "No one else comes to this part of Cité Soliel. Please keep coming, you are doing what I should be doing taking care of the people." We need him on our side and he could use your prayers! Thank you Java Relief donors and coffee drinkers. Together we are helping the children of Cité Soliel.